CEC Wheels has added a supercharger system to the Jeep Wrangler. CEC Wheels Miami has released a photo gallery of their latest aftermarket program for the Jeep Wrangler. The package alone costs, in all seriousness, $10,000 more than a fully optioned-out Wrangler Unlimited. We are talking about the installation which runs nearly $50,000 on top of the $40,000 price for a total fee just shy of $100 large. So what do you get for a $90,000-plus Jeep Wrangler? For starters, a RIPP Gen2 supercharger system with intercoolers, longtube headers, fuel injectors and a Diablosport ECU flash. Gibson dual-exit exhaust and ATB front and rear differentials. Justin Greenway of CEC Wheels Miami states that the Jeep Wrangler&apos;s "setup puts out around 250 rear-wheel horsepower." Finished in a matte military green vinyl wrap, the Jeep features Smittybuilt XRC parts like a front bumper complete with winch, rear bumper with hitch and tire carrier and fender flares. Roof rack, cargo basket, KC auxiliary lighting and LED headlights and taillights have also been added. A lifted suspension raises the Wrangler&apos;s profile and it sits on a set of 20-inch ATX Artillery wheels wrapped in Toyo Open Country M/T rubbers. Brembo brakes have been added to handle the aforementioned power upgrades. 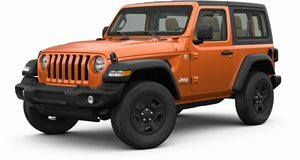 The extensive program continues onto the interior, as the off-road ready Jeep Wrangler packs new gauges, Pioneer touchscreen system with satnav, Boston acoustics amplifier with Kicker subwoofers, reverse camera, heat shield and neoprene grab handles. CEC Wheels Miami&apos;s Jeep Wrangler was designed for high-performance off the beaten track. For $90,000-plus, you can expect a whole new experience off-roading in the wilderness.